It is with great pleasure that I inform you that the Federal Courts have once again signed off on an official order directing the close of an additional 3,400 counterfeit web sites emanating from China. This brings the total number of sites closed by the actions of the ABPIA to 5,000. 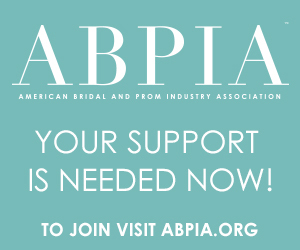 This is a tremendous win for the industry, for the ABPIA, and for the protection of potentially thousands of unsuspecting Prom girls and brides who otherwise would have gotten ripped off by these unscrupulous website sellers. Over the next several weeks web site registrars as well as the individual counterfeit web sites will be informed of the court order which will direct the sites to cease operation. Ownership of these sites must revert to the ABPIA. Our technology group (separate company whose services are paid for by ABPIA ) will continue to protect consumers by scraping the Internet daily for new sites as well as counterfeit sites that attempt to re-skin themselves. We will be filing automated DMCA notices against these sites as well as preparing additional dockets to submit to the Federal Courts. More detailed information will be coming forth with regard to this development as well as work being done with Washington DC on legislation. There are many efforts afoot in Washington DC as we work with several senators and congressional leaders and their offices, but we cannot speak openly about these efforts without permission from these legislators. We are working with Senators Menendez, Booker, Hatch, and Schumer amongst others, and will release details when appropriate. The combination of Federal Court rulings and eventual legislation should win the day for our industry, and for the consumers we serve. But this is a long and arduous fight. We continue to battle these thieves, and the ABPIA Board of Directors is dedicated to seeing this through to the eventual end. It is also an expensive fight...and we ask that you lend your financial support. Your dues are one of the best ways for you to help turn the tide, and to protect your business. If you have not yet paid 2016 dues, or joined the ABPIA, please make arrangements to do so promptly. Thank you for your continued support. 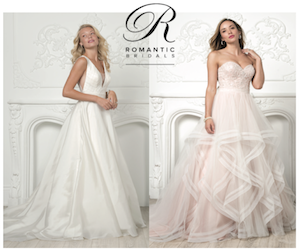 It is with your backing that the ABPIA can continue its efforts to halt the hemorrhaging of over $35 million per month of stolen wholesale volume, while we protect our Prom and Bridal consumer.